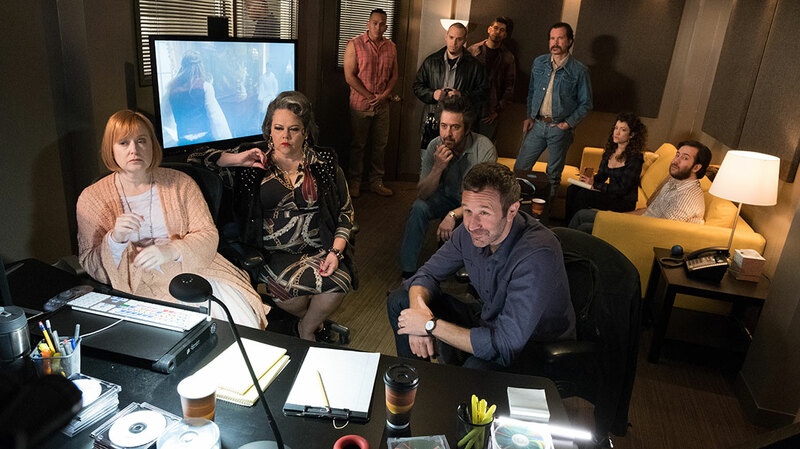 Get Shorty showrunner Davey Holmes and director Adam Arkin welcome DQ to the set of the second season of the drama, in which Chris O’Dowd’s mobster continues his assault on the Hollywood film business. We’re often told that Hollywood appreciates a story about itself. The meta appeal of doing a film or a TV programme based on characters involved in an audiovisual production themselves would surely get the critics chattering. 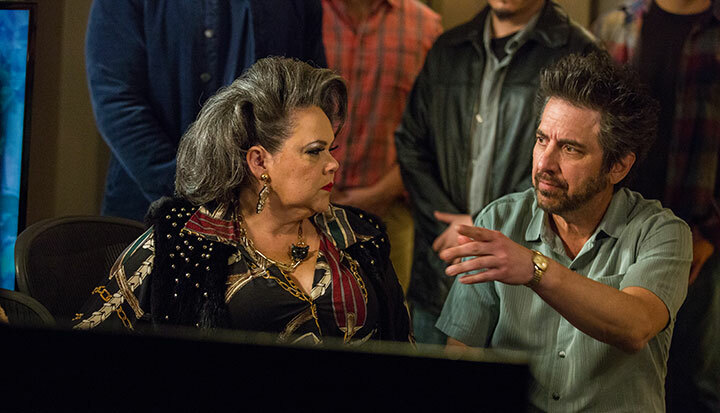 Get Shorty, US premium cablenet Epix’s mob-movie caper that returns for a second season this Sunday, is designed to both embody and pastiche this. 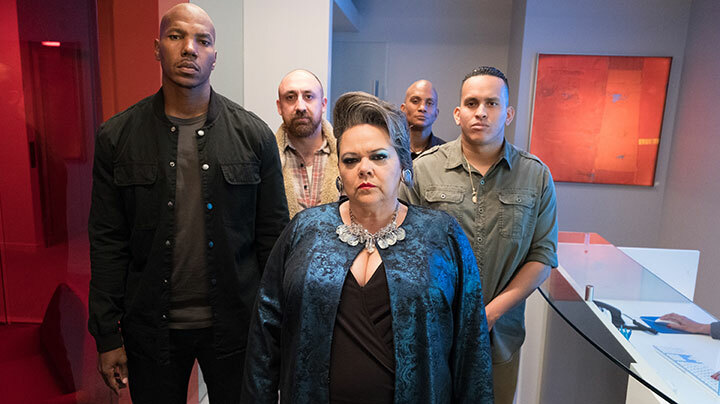 Season one of the comedy-drama follows the story of Miles Daly (Chris O’Dowd), who serves as muscle for a ruthless Nevada crime syndicate led by the fearsome Amara De Escalones (Lidia Porto). To do right by his daughter and his estranged wife, Miles moves to LA to become a movie producer – with his friend and mob colleague Louis (Sean Bridgers) in tow – laundering money through a Hollywood film. But problems arise again when Amara and her associates take an active role in proceedings. Season two sees Miles battle to realise his ambitions as a filmmaker and responsible father despite his adroitness as a criminal. Based on Elmore Leonard’s book of the same name, Get Shorty has been adapted for TV by Shameless US scribe Davey Holmes. The show is produced by MGM Television, which also distributes, and Holmes Quality Yarns. Along with O’Dowd, Porto and Bridgers, the cast features Ray Romano, Sarah Stiles, Megan Stevenson, Goya Robles and Carolyn Dodd. Off the back of season one’s success, Felicity Huffman and Steven Weber have been added. Filming is well into the second half of season two when DQ visits the set at Paramount Pictures Studios in Hollywood. Director Adam Arkin has just called ‘cut’ on an umpteenth take of Louis eating cereal while talking to Miles over the phone about a YouTube self-help beauty video. “I thought about asking for Captain Crunch, but it fucks up the roof of your mouth,” Bridgers can be heard telling the crew. The off-camera humour is a moment of light relief in proceedings, but Bridgers’ aside is an exemplar of the tone of Get Shorty and how it sets itself out as a drama. Though both seasons are peppered with witty lines, they are subtle, with the drama ensuring audiences are captivated as much as amused. The massacre of a rival cartel in season one is brutal, bloody and shocking, while the scenes involving Hollywood studios, distributors, producers and on- and off-screen talent often seem funny but will likely have industry viewers shifting uncomfortably in their seats in recognition of the realistic depiction of the conversations and decision-making – which is as cutthroat as the violent actions of the gangsters on show. Arkin says the show explores the “terrain that hovers between extreme comedy and drama” like that of FX’s hit crime drama Fargo – another series that was inspired by a film but, like Get Shorty, does not simply transplant the same characters and story to the small screen. This is doubly important for Get Shorty, given that a 1995 film version starring John Travolta was also based on Leonard’s original book. However, the Epix series is less a mob or crime caper and more a story of reinvention, told through the prism of a criminal father. This is not exclusive to Miles either. Bridgers says his character, Louis – a trigger-happy Mormon mobster – is undergoing a metamorphosis. The series, too, either by design or coincidence, is a metaphor for today’s US, which is going through a cultural and political transition, often bearing the hallmarks of a Hollywood movie. “Louis has been operating, like we all do a bit, on autopilot. He’s stuck in this very small world with a somewhat limited world view and Miles is the one who breaks out of it,” Bridgers says. “He’s a ball of contradictions. That is American culture in a nutshell. Louis is a very American character. 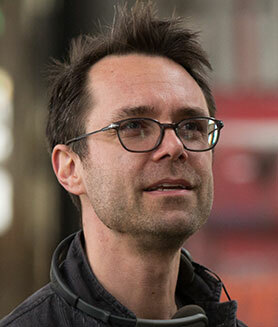 “There are countless processes that everybody goes through [to translate the vision on screen]. I try to stay very attuned to the material; that’s obviously the first clue as to what direction everything wants to be going in,” he says. While stylistic fine-tuning can be arduous, it is exacerbated by the physical demands placed on cast and crew. In season one, shooting was divided between Hollywood and Albuquerque, New Mexico. In a tragicomical example of art imitating life imitating art, the crew sometimes felt like their fictional counterparts – who intermittently struggle with sandstorms, fires and gunfire. “We went back and forth about four or five times. Just handling that and the logistics of what we were shooting and where, it did at times lead to a certain amount of vertigo as to where we were in the process,” Arkin recalls. “In episode five of season two, about 75% takes place in one location, which was very challenging to shoot in. We’re underground, we were pumping a lot of atmospheric smoke into the location; everyone was running around in coveralls and hard hats, respirator masks. Sarah Stiles, who plays Gladys, the secretary to Romano’s film producer boss Rick Moreweather, illuminates the cast’s intensity. Both Stiles and Stevenson concur that what attracted them to the project was the writing, and that TV is going through its golden age in terms of attracting the best on- and off-camera talent to projects. Holmes also sees the benefits of working for a cablenet rather than a US broadcast network. “When I first got into TV, there wasn’t a whole lot of TV that I was excited about. Now there’s a lot,” he says. “It’s also lovely because there’s a very good chance you’re going to get to do the whole season, if not two seasons, while they evaluate what the audience is. As the cast settles in for another take, it feels as though Get Shorty has only just begun.